The car trip to Grandma's house is taking forever. Are We There Yet? explores the amazing possibilities of imagination on a long, boring car journey, as time slows down so much that it starts going backwards. 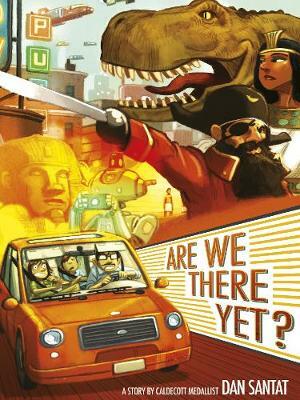 Featuring dinosaurs, Ancient Egyptians, knights and pirates, this is one amazing journey through the imagination. With stand-out illustrations that span millennia by the Caldecott-winning author of The Adventures of Beekle.